Friends, I cannot stop my latest addiction. 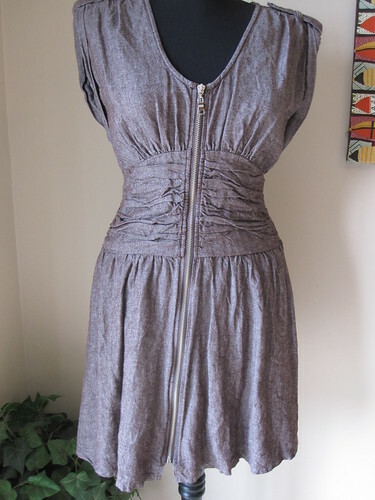 a dress by Mustard Seed. i love the zipper, gathered waistline and the rolled up sleeves. 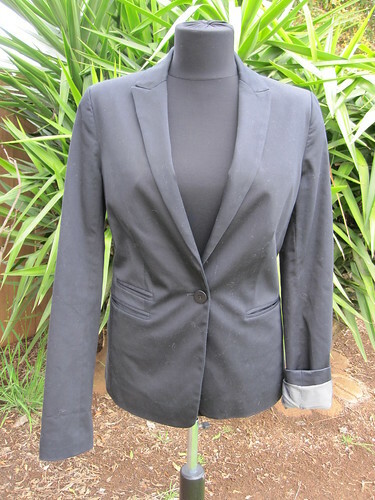 Kenneth Cole blazer that is a tad big, but I might wear Kendi style with either the sleeves rolled up, or scrunched. 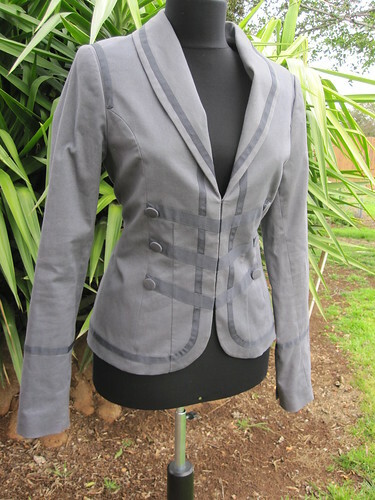 H&M blazer. This kind of reminds me of a marching band uniform. Which is awesome because I didn't go to a real school and never could be that nerd-tastic until now. 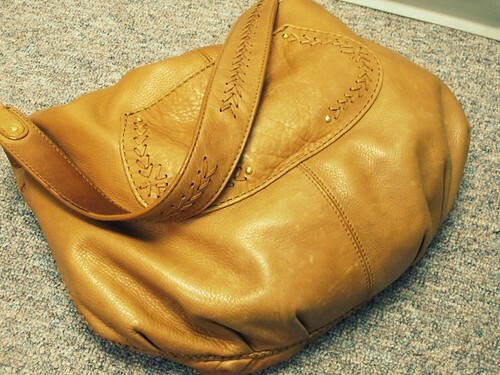 and my fav: a beautiful soft leather Sigrid Olsen handbag in perfect condition. 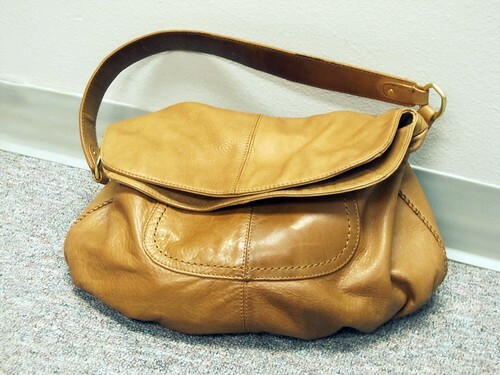 I've always been the kind of girl who buys a $30 purse, uses it every day for a year and throws it away for a new one. I'm just not a purse person. But I can already tell after using this purse, that I'll never buy a really cheap one again. The disadvantage of the particular store we visit is that there are no fitting rooms. So our #1 rule is to dress in flip-flops, leggings, and a tank top. Rule #2 is to look out for items to re-sell, to make up some of the money I spent on myself. Whatever I buy that I don't like, doesn't fit or doesn't work for whatever reason I've put up for sale on my eBay account, with a few other trinkets. WOW. You hit the jackpot, especially with that purse! I used to thrift all the time...in high school, I flat out refused to wear anything new (or from that decade), even my prom dress was from the 50's. I really miss it and need to get back into it, but Atlanta isn't so great in the thrift department. Dang girl, you killed it with the thrifting finds! I am jealous. I always get skeeved out by used clothes, and, I get annoyed having to sift through things. I need to get over this though - there are clearly tons of awesome finds to be found! Man, when I've hit up the thrift stores here it's mostly just total junk! Oh, wow! You got some super cute stuff! I haven't been thrift store shopping for clothes in a while because I'm totally broke, but I have a store really close to me that I love! That is amazing!!! What a bag- and I looooove that dress! 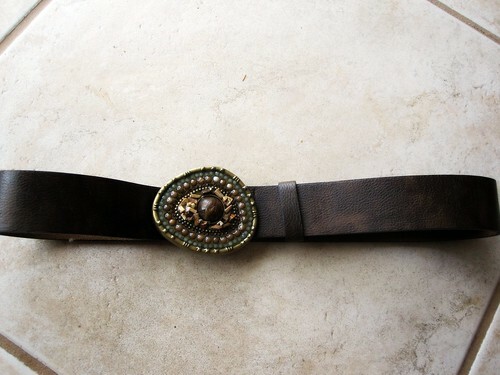 Gorgeous - and you will look fantastic in it. 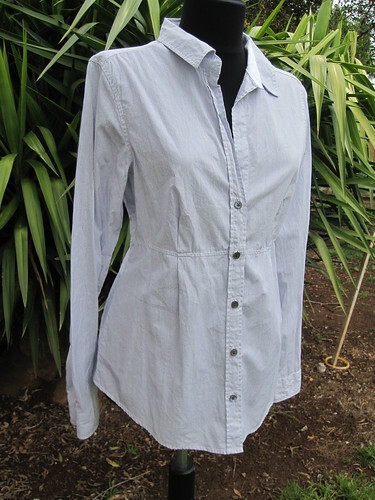 I wish I had such great skill at thrifting! i dig the marching band jacket! Wow, you've found some great stuff! I love the jackets! Great finds! Love the marching band style jacket!